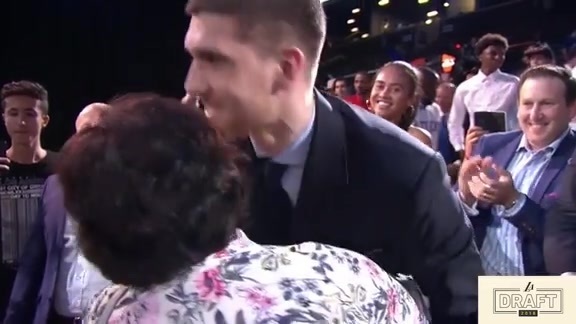 Mortiz Wagner gets drafted #25 by the Los Angeles Lakers. 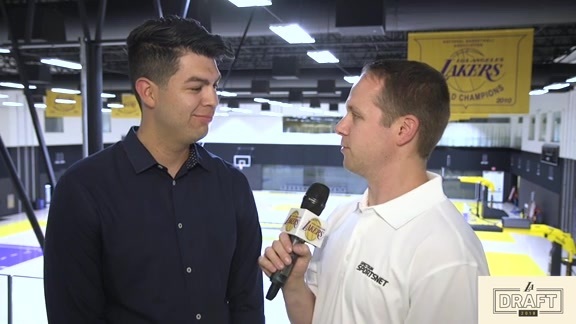 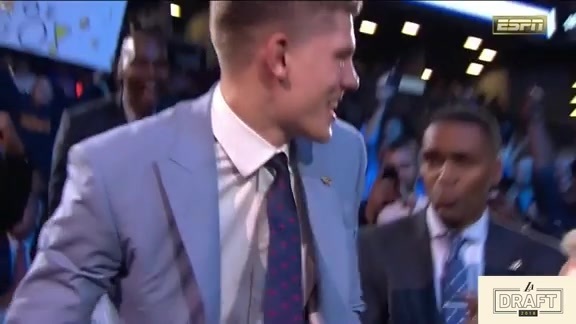 Lakers Reporters Mike Trudell and Joey Ramirez recap the night as the Lakers took Moritz Wagner and Sviatoslav Mykhailiuk in the draft. 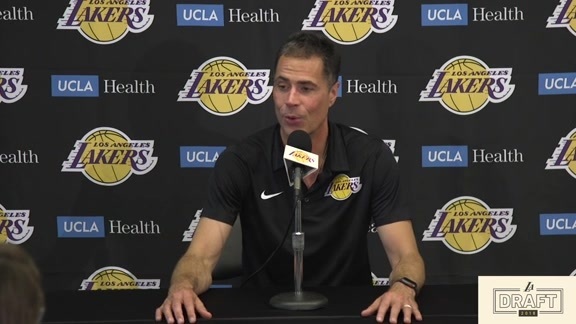 Rob Pelinka addressed the media following the Lakers' 2018 Draft selections of Moritz Wagner and Sviatoslav Mykhailiuk. 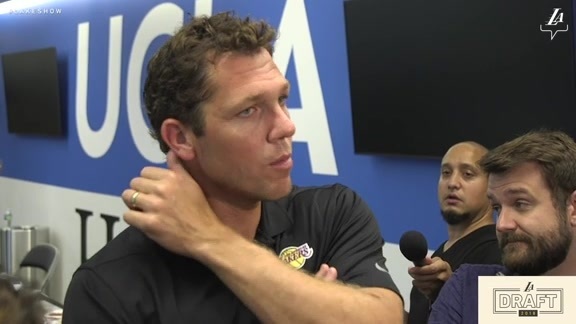 Lakers head coach Luke Walton shares his thoughts following the team's 2018 NBA draft. 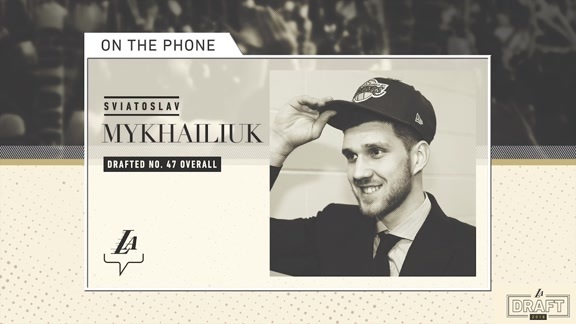 Sviatoslav Mykhailiuk joined the media via conference call to talk about his draft night and future with the Lakers. 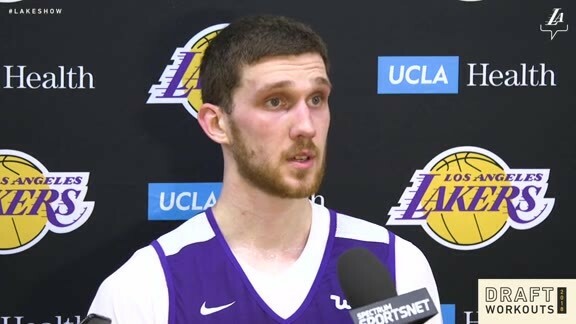 The Los Angeles Lakers selected Sviatoslav Mykhailiuk with their 47th overall pick in the second round of the 2018 NBA Draft. 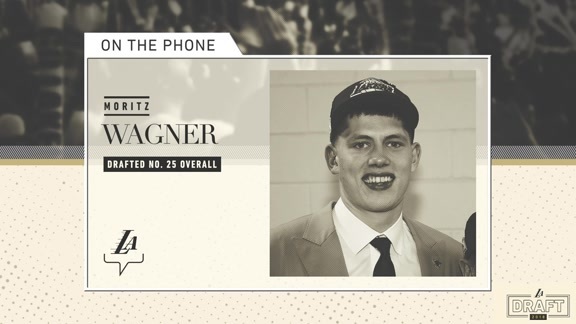 Moritz Wagner hopped on the phone to take questions from the media on what it means to be drafted by the Lakers. 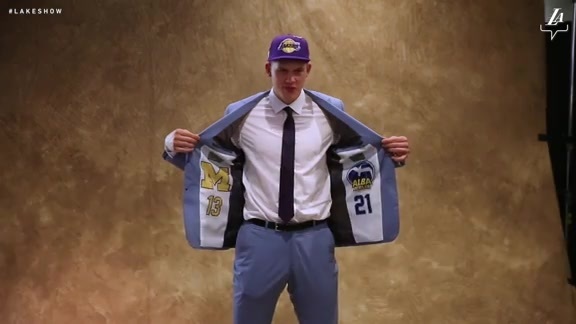 The Los Angeles Lakers selected Moritz Wagner with their 25th overall pick in the first round of the 2018 NBA Draft. 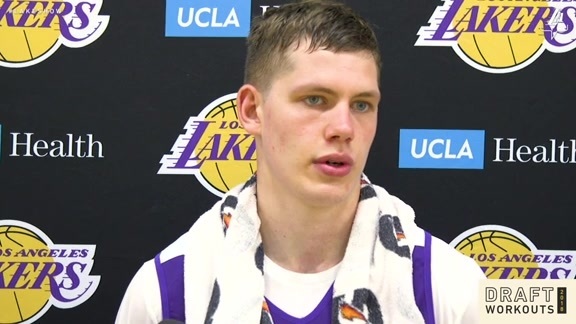 Michigan big man Mortiz Wagner talks about competing in today's draft workout and his relationship with fellow countryman Dirk Nowitzki.